The Government of India has received Rs.13,37,340 crore (73.37% of corresponding RE 18-19 of Total Receipts) upto February 2019 comprising Rs. 10,93,923 crore Tax Revenue (Net to Centre), Rs. 1,71,755 crore of Non Tax Revenue and Rs.71,662 crore of Non Debt Capital Receipts. Non Debt Capital Receipts consists of Recovery of Loans (Rs.15,042 crore) and Disinvestment of PSUs (Rs. 56,620 crore). 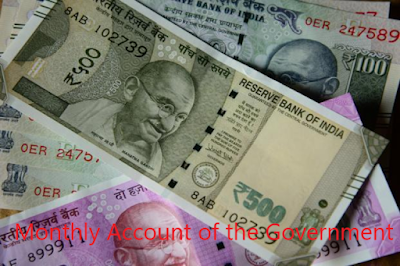 Total Expenditure incurred by Government of India is Rs.21,88,839 crore (89.08% of corresponding RE 18-19), out of which Rs.19,15,303 crore is on Revenue Account and Rs.2,73,536 crore is on Capital Account. Out of the Total Revenue Expenditure, Rs.5,01,160 crore is on account of Interest Payments and Rs.2,63,868 crore is on account of Major Subsidies.